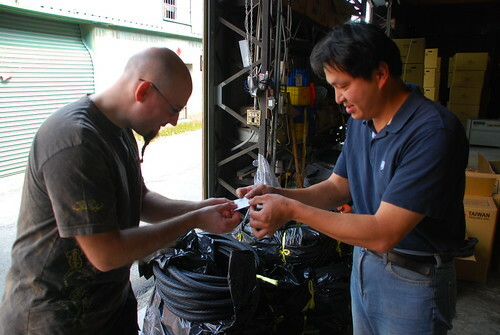 BROL member Gunnstein came to Taiwan for a visit. One of the things on his agenda was to visit TW-Bents and pick up a new Cobra recumbent bicycle. This slightly-out-of-focus shot is the meeting of Gunnstein (left) and Walter, the TW-Bents design engineer. They are exchanging business cards. Walter shows Gunnstein his new bike, on the left. There is another Cobra on the right that was setup for Gunnstein to ride. 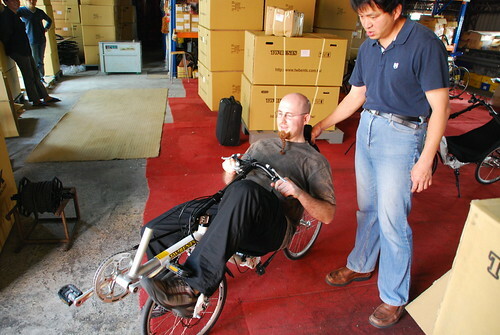 Riding a 2-wheeled recumbent takes some getting used to and quite frankly, most people (including me!) crash a few times until they get the balance correct. So, Walter had a second Cobra set up for Gunnstein (who owns a TW-Bents trike) to learn on so he wouldn’t be learning on his brand new bike. 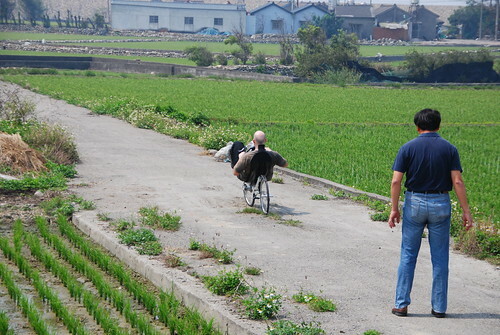 Here Walter is explaining the finer points of recumbent riding. There is a small road in back of the warehouse were riders can check out equipment. This is Gunnstein off on his first ride on a 2-wheeled recumbent. It only took a few minutes for him to get the feel of the bike. 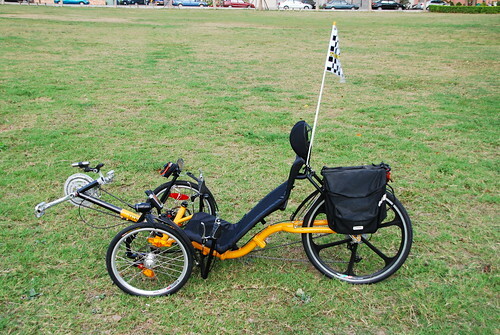 The aspect of riding a 2-wheeled recumbent that might seem difficult at first, is taking off. Here we see Gunnstein practicing take-offs. One foot is on the ground, holding the rider up, while the other foot is poised on the pedal, ready to power the rider forward. Gunnstein’s new bike is a custom model, with a wider seat and different gearing arrangement than the stock Cobra. 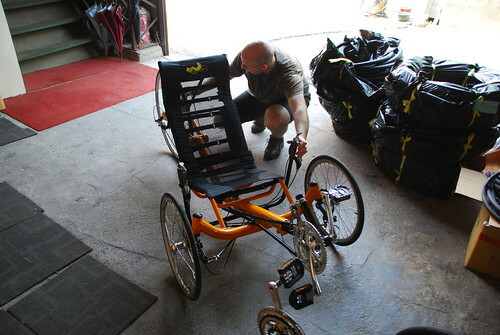 While Gunnstein was at the warehouse, he checked out some other models like this prototype bigger trike, with larger, stronger wheels. 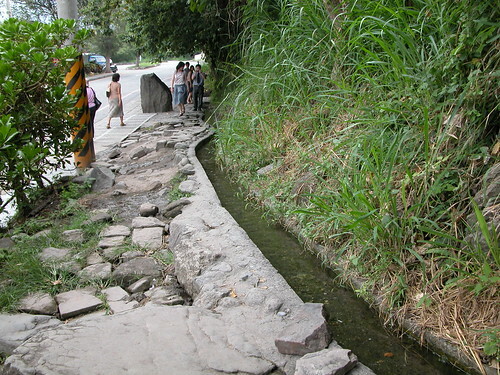 The track is 10 centimeters wider than the Artifice. Now for the fun part. 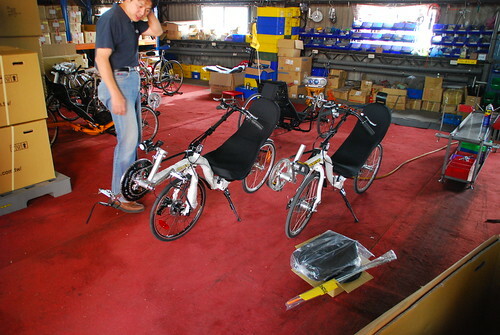 The Cobra is a folding bike and the main feature is that it can fold up in a very small space. Walter is demonstrating how to fold up the bike. With the seat off, the folded Cobra has a tiny footprint! 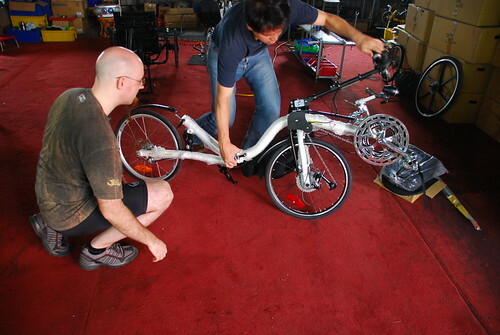 First, they show Gunnstein how to package the bike for the trip back to Norway. 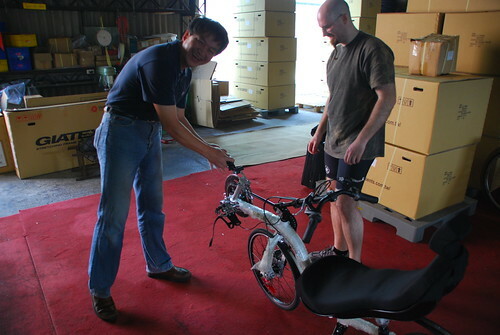 And then, Walter and his assembler show Gunnstein how to pack up the bike for local transport around Taiwan. Each Cobra comes with it’s own carring bag! Walter shows Gunnstein just how easy it is to transport the Cobra. The bag can also hold the seat so the entire bike fits into a shoulder bag. Gunnstein went to Huilien and did some riding with Michael Cannon. The photoset is here. 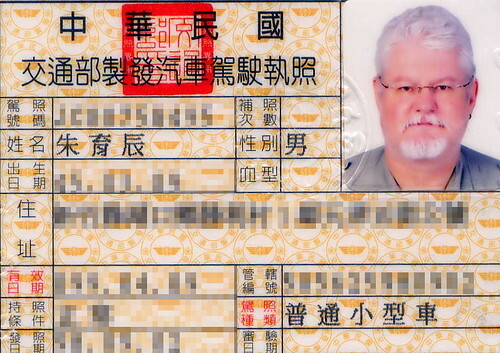 He also did some riding down in Southern Taiwan. On his last night in Taiwan, we took Gunnstein out for some karaoke! It was a great time. We’re sure to see him again in Taiwan. Thanks for reading. We appreciate your re-tweets of this story, your comments questions and recommendations! Thank you for the photos of Gunnstein and the TW Bents factory. After seeing Gunnstein ride in Hualian, I’m interested in a bent as well for 1-day fast flats riding. What would be your recommendations for getting started on that path? 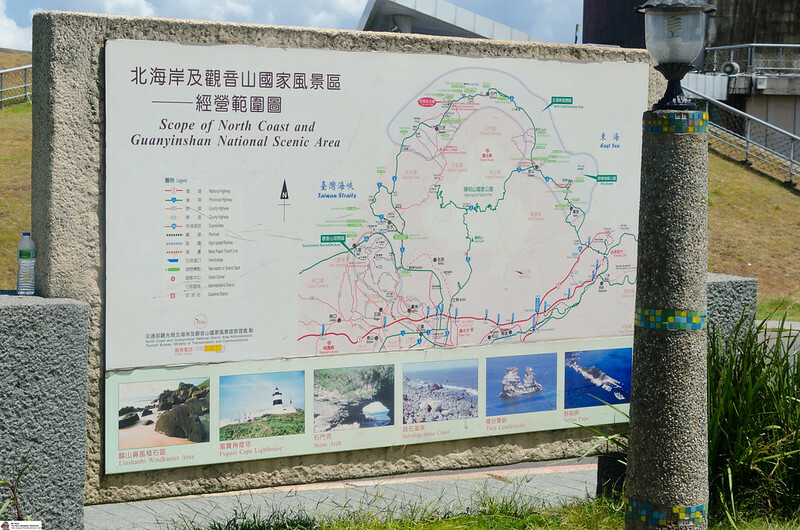 .-= Michael Cannon´s last blog ..Riding Hualien with Gunnstein =-. hi Michael. 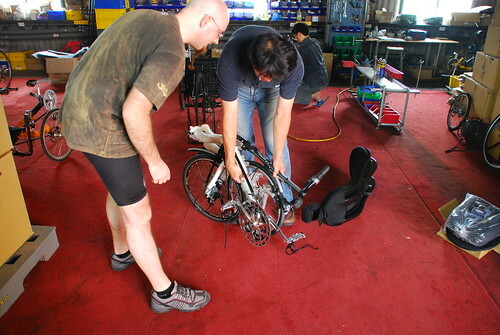 first of all, thanks to you for riding in Hualien with Gunnstein. he told me that he very much enjoyed meeting and riding with you. i recommend that you read up on them and check out http://www.bentrideronline.com and the various recumbent forums to see what people are talking about. then i recommend trying one. i’d be happy to take you out to TW-Bents and introduce you to Walter. you can try out a few models and see how you like them. there are some considerations such as front wheel drive (like Gunnstein’s Cobra) and Over Seat Steering, or Under Seat Steering options, etc. just let me know when you’d like to go out there and we’ll do it. thanks Michael. If you care about folding, I don’t think there’s anything else out there that folds as small as quickly as the Cobra does. If not, there are hundreds of bikes to choose from. In addition to MJs, other considerations include suspension, wheel size, seat type, etc etc. If you’re like me, you’ll now have to spend a year reading about these things until you finally decide on buying one. Regarding my high speed wobbling, it’s gotten better but is still there. Under seat steering, or “superman bars”, may help, but you’ll have to try for yourself. Hi again MC and MJ! thanks for the follow-up Gunnstein! i did read your review and i’m glad you got the kinks worked out on high speeds! 82 KPH? wow…. i can’t imagine that! Hmmmm…. not sure if I can say that I’ve ever seen a 2-wheel recumbent bike. 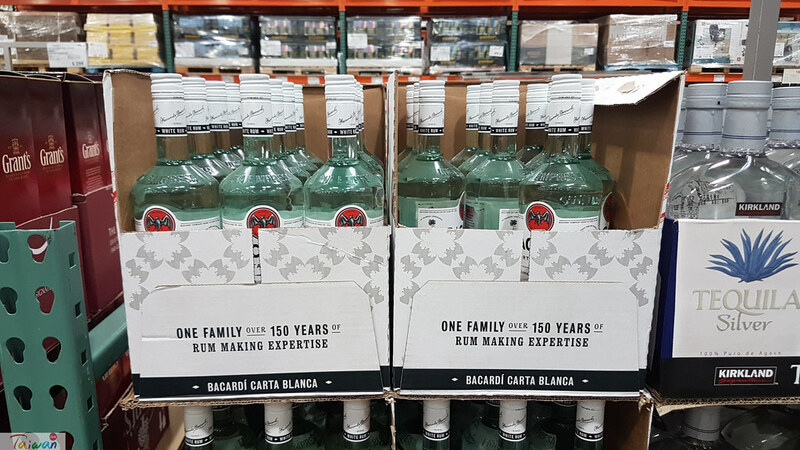 Looks like it would be an interesting thing to try. Since you say most people crash a few times while getting use to it… does a doctor… or better yet…. 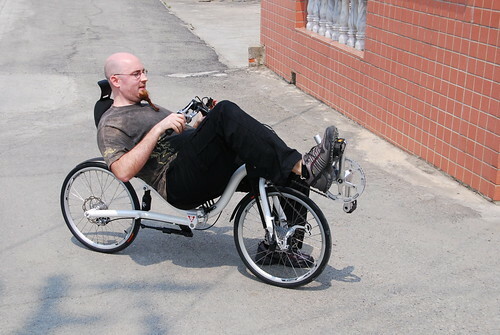 a nurse… come with the purchase of the 2-wheeled recumbent??? .-= mike01905´s last blog ..2010 World of Wheels in Boston =-. hi Mike. i’m just not going to go there about the doctor/nurse, lol. 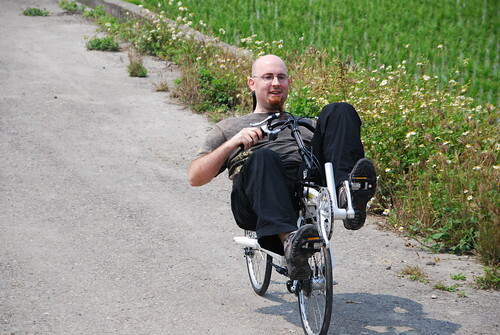 the good thing about the recumbent is that you’re not very high up off the ground when you crash (if you do). you can land quite gently and get up again without serious damage to either yourself or the bike. 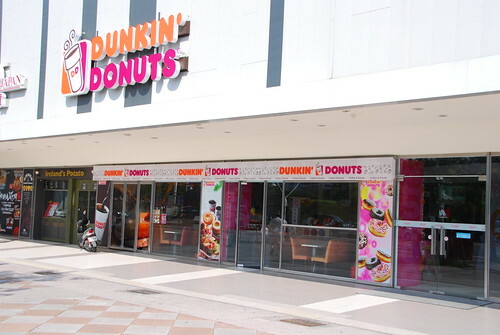 i recommend that you try one sometime. you like to distance ride and that might just be the ticket. Heh… I did need medical attention after the test ride, so you’ve got a point. Very kind of them to provide a test ride bike for me. Road rash: A skin condition caused by an allergic reaction to asphalt contact, esp. at high speeds. Characterized by bleeding and soreness. Often accompanied by swearing. 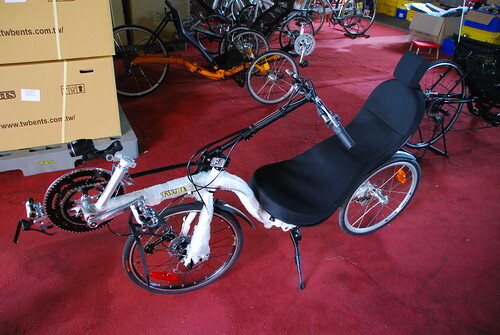 Dennis, the recumbent is an old design. some guy back in the 1930’s decided to ban the design from racing. this is why today’s bicycle racers are riding diamond frames – not the best choice. all the world’s land speed record holders are recumbents of one form or another. they are excellent for long-distance riding because of the comfortable position (no padded pants required!). i hope you get the opportunity to try one someday Dennis. thanks. wow really, without knowing a bit about bicycles it’s hard to imagine that a trike could go faster then a 2 wheeler, thx for the info. oh and btw, i was not able to enjoy the pub ??? ?, i did go there with my friend on a weekend night, but it was just too packed and we didn’t want to wait out in a queue to get a seat/table, my friends who’d been there before said that place is too popular especially on the weekends. oh wells. hi Dennis. well it all depends upon the engine! i personally can’t take the trike up to world record speeds, but there are riders that can. 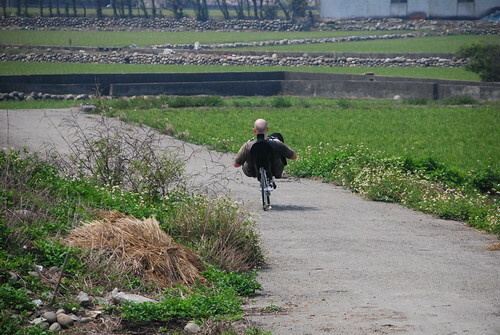 my trike is very fast on downhills and i frequently go faster on downhills that 2 wheeled bikes. 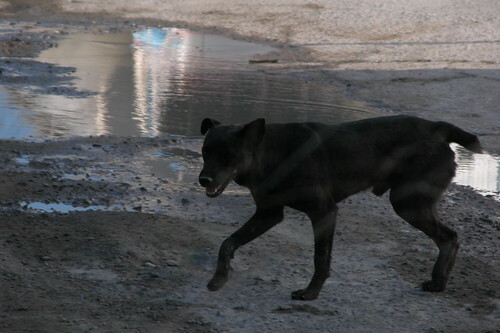 uphill is another story altogether! too bad about the Cowboy pub. yes it is quite busy. at least you know where it is now and you can return sometime. you should try to be there by 8:30 pm and catch a seat at the bar. thanks Dennis. I’m interested in the tw-bent cobra as a commuter. It looks a little low? How did it ride? Ask me anything, I’d be happy to answer. If you commute in dense traffic you should probably have a flag on it, and I recommend eyeglass mirrors. You will get a sweaty back, so showers at your destination is an advantage. The ride is fantastic! The wobble I mentioned earlier here was gone after a week of riding, it’s just a matter of technique.